Buying a used car? Just like you would with a home, you will want to inspect it thoroughly so you will have a reasonable expectation of its condition and current value. In this class we will discuss an overview of common automobile components and demonstrate live how to perform several important safety checks. 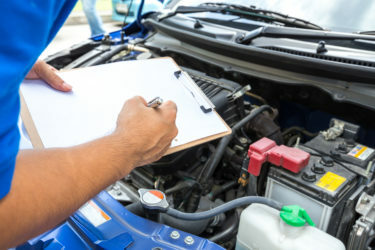 Students will gain hands on experience learning how to check oil levels, tire pressure, and several important warning signs to watch for in order to keep their car in good running condition. This is a beginner level class. Earn your Master in BadAssery by signing up for this class and others in the series. We will teach MBA classes on an ongoing basis so you can learn at your own pace. Pick up an MBA log book to track your progress. Once you complete your MBA you will earn 1 hour of free bay time!